We build industrial spaces to increase efficiency and improve productivity for projects of any size, scope, and complexity. Our industrial team successfully delivers projects because of their ability to build proactively. One of our most recent projects was a 25,000 square – foot warehouse with a repair garage, wash bay, and servicing station that houses a fleet of up to 30 trucks. 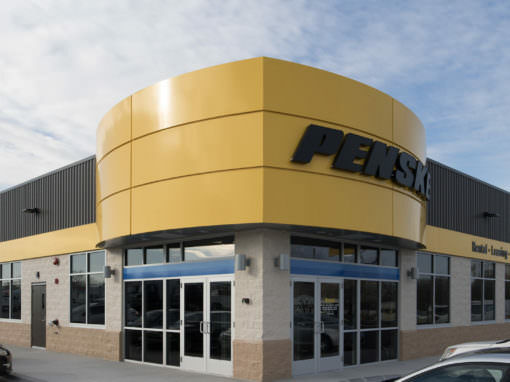 For the past 15 years, Penske has relied on Loberg’s expertise for the construction and/or maintenance of 30 facilities throughout the Midwest.